Impact Music Promotions | Brad's All Vinyl Finds! There’s a reason why I sometimes buy an LP, even if I already have those songs in my collection. On rare occasion, I get an alternate version of a song I really like. 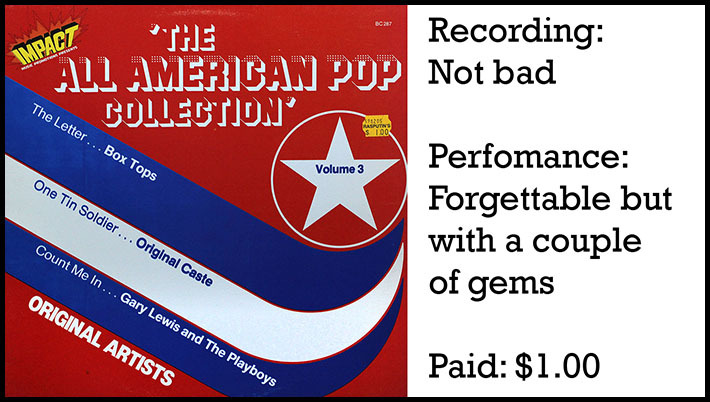 The best example of this is a set of compilation LPs on the virtually unknown Impact Music Promotions label out of Fenton, MO., that produced The All American Pop Collection LPs. There are five volumes in the series.